In this guide, we’ll tell you everything you need to know about longevity annuities – how they work, how they’re customized, and how to evaluate whether converting a portion of your assets into future income makes sense for you. For detailed examples of how longevity annuities work or to have a copy of this guide to read at your leisure, download the free Longevity Annuity Guide PDF. A longevity annuity is guaranteed retirement income you can purchase to insure your longevity, or the risk of outliving your savings. When you buy a longevity annuity, you commit money now in exchange for a future monthly paycheck continuing for as long as you’re alive. Whether purchased with your qualified or non-qualified savings, a longevity annuity turns your assets into guaranteed income for life. You can think of it like a pension you buy for yourself. A longevity annuity is… an income annuity. More specifically, a longevity annuity is… a deferred income annuity. A longevity annuity (a.k.a. deferred income annuity) begins annuity payments at a future date, typically 2-40 years after the premium is paid. (In contrast, immediate annuities begin payments within 1 year.) During the deferral period, the insurance company invests your money on your behalf. The longer you delay starting to receive payments, the greater the size of the payments they’ll be able to offer you. And finally, a longevity annuity can be… qualified, non-qualified, or a QLAC. Qualified longevity annuities are purchased with pre-tax money from your 401(k), Traditional IRA, or other qualified plan. The money is transferred penalty-free and will not incur any taxes during the deferral period. Longevity annuities are subject to required minimum distributions (RMDs), meaning that income must begin by age 70½. Non-qualified longevity annuities differ in that they are purchased with post-tax savings, are not subject to RMDs, and thus can be annuitized after age 70½. In addition, the taxes incurred once distributions begin will be lower to avoid taxing the money used to purchase the longevity annuity twice. Qualified Longevity Annuity Contracts (QLACs) fill the void left by qualified and non-qualified longevity annuities: the ability to use pre-tax qualified savings but begin distributions after age 70½. This type of longevity annuity has the added benefit of deferring a portion of your RMDs until as late as age 85. In summary, a longevity annuity is a pension you can buy for yourself using your pre- or post-tax retirement savings. In purchasing a longevity annuity, you insure your financial security no matter how long you live. A longevity annuity, a.k.a. deferred income annuity or DIA for short, provides lifetime income starting 2-40 years from now. Money is paid upfront, but the income payments you receive are delayed for a period of 2-40 years. Because of the deferral, you will receive higher monthly income as compared to an immediate annuity. You’re also able to add additional payments to the contract over time (known as the Personal Pension). Longevity annuities can be good for people who want income starting years in the future. Who Is a Longevity Annuity Right for? A common objection to longevity annuities is that they don’t build or provide access to cash value unlike other insurance products used for retirement planning. This is true, but the trade off is access to higher guaranteed income than these more liquid products will offer. Using only a portion of your portfolio to purchase a longevity annuity leaves the rest of your assets to provide liquidity and market upside. To illustrate how a longevity annuity offers longevity protection and fixes your investment horizon, let’s use Alan as an example. Alan is 50 years old and plans to retire at 70, at which point he’d like to have $90,000 to spend each year. But, without knowing how long he’ll live, Alan doesn’t know how much more he needs to save. He’s considering buying a longevity annuity to simplify his retirement planning and to ensure his financial stability for as long as he’s alive. With $100,000 of his savings, Alan can buy a longevity annuity that will cover his annual expenses starting at age 85 and continuing for the rest of his life. Knowing that he’ll be set at age 85 regardless of his lifespan, Alan can more comfortably save for retirement. 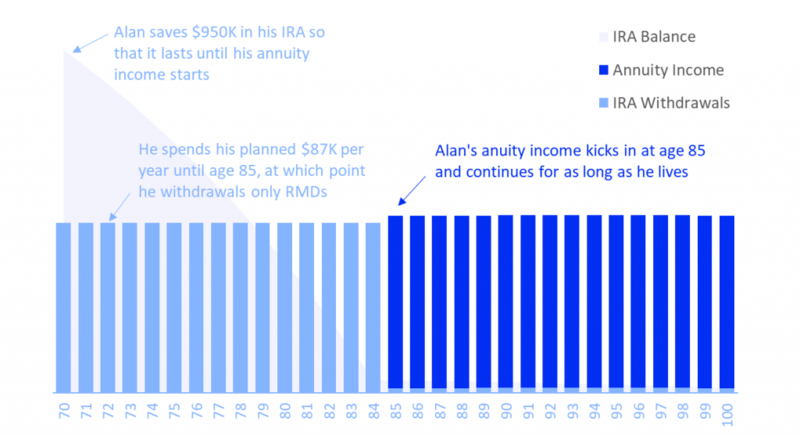 Assuming his IRA will earn a 5% return and ignoring inflation for simplicity, Alan needs to accumulate $950,000 by age 70. At that point, he’ll be able to retire and withdraw $90,000 from his IRA every year until age 85 when his longevity annuity income will kick in. His retirement portfolio is much more predictable and secure with the longevity insurance offered by a longevity annuity. Note that for ease of explanation, this example is on a pre-tax basis. Longevity annuity rates based on a $100,000 Lincoln Financial life-only policy for a male aged-50 with income starting at age 85. Rates as of 10/11/2018. Insurance is typically thought of as something you buy to protect you and your family from unfortunate events. By turning your assets into income you can’t outlive, the longevity annuity offers a more pleasant kind of protection: longevity insurance. The longer you live, the more financial value the annuity provides. Adding a longevity annuity to your portfolio can dramatically simplify your retirement planning. Knowing that at a future date you’ll have a paycheck that sustains your lifestyle allows you to manage your remaining assets to a fixed instead of unknown investment horizon. The certainty of guaranteed future income can completely change your approach to investing, withdrawing, and spending. Longevity annuities can be set up as joint annuities, which means that payments continue as long as either you or your spouse are alive. Structuring the contract like this is a great way to preserve financial stability and quality of life for the surviving spouse. Qualified longevity annuities are purchased with pre-tax funds from your 401(k) or Traditional IRA, which are already accumulating on a tax-deferred basis. Retirement savings can be transferred to a longevity annuity penalty-free, maintain their tax preferential treatment, and count towards your IRS-mandated required minimum distributions. Non-qualified longevity annuities are purchased with post-tax funds that, depending on how they’re invested might incur income taxes annually. For your savings that are already earmarked for retirement but not sitting in a tax-deferred account, buying an annuity is a great way to postpone your taxes and allow your interest to compound. The savings that you allocate to a longevity annuity are protected from swings in the stock or bond markets. And, by selecting the Refund at Death option (more on this later), you can guarantee that all of your savings will be passed onto your beneficiaries if you pass away prematurely. While longevity annuities are generally illiquid products functioning like a paycheck and not a savings account, many carriers offer some level of liquidity. Most commonly, this is in the form of commutation, or withdrawal benefit which permits accelerating upcoming monthly benefits. A limited number of monthly payments can be accelerated at once, and guidelines exist around when and how often the policyholder can take advantage of this liquidity. The longevity annuity has a simple structure. For any amount of premium you would like to put into the contract, the insurance company will tell you how much monthly income they can offer. There are some decisions you’ll have to make (more on this later) that affect the level of income, but that’s it. The income is net of the insurance company’s expenses and the commission collected by the distributor. Longevity annuities don’t offer much liquidity and don’t have a cash value that can be withdrawn or borrowed from. Longevity annuities should be thought of as a future paycheck, like a pension. While the value of your money will be growing during the deferral period, its growth will only be reflected in the income amount and will be otherwise invisible to you. The income you’ll receive is determined upfront, fixed, and isolated from any market upside (or downside) potential. While this is a positive attribute for those focused on insurance coverage, it isn’t the solution for those seeking a more investment-style product. A common question asked when considering moving some of your retirement assets into a longevity annuity is: what value will I get from this purchase? Typically, pre-retirees look for a quantitative answer, such as an internal rate of return (IRR) or return on investment (ROI), that they can compare to returns generated in their fixed income portfolio. Unfortunately, the value of a longevity annuity cannot be understood quite so simply or compared to the return of a traditional financial product on an apples-to-apples basis. Why not? Because calculating an IRR or ROI requires knowing the upfront investment and all future income amounts and dates. As a longevity insurance product, the longevity annuity will provide you with income for as long as you’re alive, i.e. end date to be determined! To see what the return on your longevity annuity would be at various lifespans, use the Longevity Annuity Quote Tool to run a quote, and then click to view the details. On the details page you’ll see a table with calculated returns for each age. The fixed income assets in your portfolio serve to provide steady, reliable income that is uncorrelated, or inversely correlated, with the equity markets. Sound familiar? This is exactly the purpose that a longevity annuity or any income annuity serves, with one major added benefit: the annuity will continue to make payments until you die. Allocating a portion of your fixed income portfolio to a longevity annuity can generate comparable returns and reduce your longevity risk. In fact, adding the security of a longevity annuity to your portfolio can enable you to earn a higher rate of return with the rest of your portfolio. If your longevity annuity or other annuities generate enough income to cover your retirement expenses, you have even more flexibility to invest the equity portion of your portfolio without putting your livelihood at risk. One final benefit of owning a longevity annuity is the ability to invest and manage the rest of your portfolio to a fixed time horizon. That is, you’ll know exactly what type of income your portfolio needs to generate and for how long if the longevity annuity will be covering your expenses starting at a known point in the future. At purchase, pre-tax funds will be moved from one type of qualified retirement account to another. Traditional IRAs, 401(k)s, and qualified longevity annuities all have the same tax status, so moving money among them will not incur any taxes or penalties. No taxes will be owed during the deferral period. Longevity annuities do not have an account value that accumulates, so there isn’t actually anything to tax. In fact, even if it had an account value that accrued interest (as with a fixed annuity) or earned capital gains (as with a variable annuity), no taxes would be due. As retirement savings vehicles, annuities can grow on a tax-deferred basis. Once the longevity annuity is annuitized, i.e. income payments begin, taxes will be owed. Because the money used to purchase a qualified longevity annuity has never been taxed, all distributions will be 100% taxed as ordinary income. These taxable distributions will be reported to you and the IRS by your insurance company using tax form 1099-R.
For longevity annuities with the Refund at Death, beneficiaries will receive any remaining value in the contract in the case of the annuitant’s premature death, amounting to the difference between the initial premium paid and the cumulative income payments received. Any death benefit owed will be paid directly to the beneficiary, thereby avoiding the probate process. The beneficiary can elect to annuitize the death benefit over his/her life expectancy instead of taking it as a lump sum. Either way, the annuity contract will typically be included in the deceased’s estate, and the beneficiary will be taxed on any proceeds they receive at ordinary income tax rates. Note that designating your spouse as your beneficiary will typically result in the annuity being excluded from your estate. Non-qualified longevity annuities are purchased with savings that have already been taxed. If those savings are currently earning interest that is taxable annually, with a Certificate of Deposit for example, moving that money into a retirement savings vehicle can reduce your income taxes during the deferral period. Technically, even though annuities provide for tax-deferred accumulation, longevity annuities are not accumulation annuities, so there isn’t actually anything to tax during the deferral period. Once the longevity annuity is annuitized, i.e. income payments begin, taxes will be owed. Each income payment can be split into two pieces: a part that’s returning your initial investment, and a part that’s your gain or interest earned. Taxes will only be owed on the gain, as the premium you invested in the contract has already been taxed. This non-taxable portion of the income payment is determined using an exclusion ratio, which is provided by the insurance company at purchase. The exclusion ratio will be applied to each income payment, indicating how much is not taxable, until the full investment in the contract has paid out. Once the investment has been fully returned subsequent income payments will be fully taxable. Purchase No taxes or penalties incurred when moving pre-tax retirement savings to a qualified longevity annuity. No taxes or penalties incurred when moving post-tax savings to a non-qualified longevity annuity. Deferral No taxes will be owed during deferral. No taxes will be owed during deferral. Annuitization Income payments will be fully taxable at ordinary income tax rates. The portion of income payments that are a return of premium, as determined by the exclusion ratio, are not taxable. (if applicable) The beneficiary will be taxed on any proceeds they receive at ordinary income tax rates. The beneficiary will be taxed only on the portion of proceeds that exceeds a return of premium at ordinary income tax rates. The income offered on longevity annuities will vary over time as market conditions change, being driven most notably by longer-term Treasury and investment grade corporate bond yields. In addition, your personal attributes (age, gender) and the policy options you select will impact the quote. Income will decline as you age. The longer you wait to buy, the less time the insurance company will have to invest your premium before beginning income payments. Holding all else equal, buying income today will be cheaper than buying the same amount in the future. Most insurance carriers offer an inflation adjustment or annual increase rider that will adjust the longevity annuity income payments annually for inflation. The adjustment made could be predetermined (between 1-5%) or in some cases be based on a Consumer Price Index. Providing these increases will require a lower starting income. Adding an inflation rider to your longevity annuity is one way to mitigate the risk of declining purchase power, but it’s probably not the most efficient way as the extra protection will come at a cost. Consider instead more direct ways to earn inflation-adjusted dollars. Your Social Security benefit, for one, will be indexed for inflation through a Cost of Living Adjustment. And, for the rest of your assets, maintaining exposure to equity markets and investing in inflation-linked bonds, such as TIPS or I-Bonds, can provide an effective hedge. Payment Acceleration: Access to some liquidity is provided in in the form of commutation, or a withdrawal benefit which permits accelerating upcoming monthly benefits. A limited number of monthly payments can be accelerated at once, and guidelines exist around when and how often the policyholder can take advantage of this liquidity. Income Start Date Adjustment: Many insurers will afford you the one time opportunity to move up or back your income start date by up to 5 years. 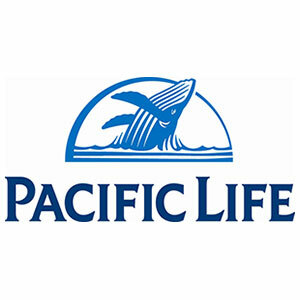 Additional Premium Payments (Flexible or Subscription): With some carriers you have the ability to fund your longevity annuity over time, either through a flexible premium option or on a subscription basis. This is a good approach for those betting on pricing improvements or wanting to contribute a percentage of your income over time. Finally, you’ll usually notice an inverse relationship between the creditworthiness of an insurer and the income they offer. 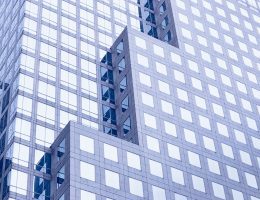 Insurers with higher credit ratings have earned them by maintaining higher capital reserves and more conservative investment portfolios limiting their profitability and thus the income they can offer you. 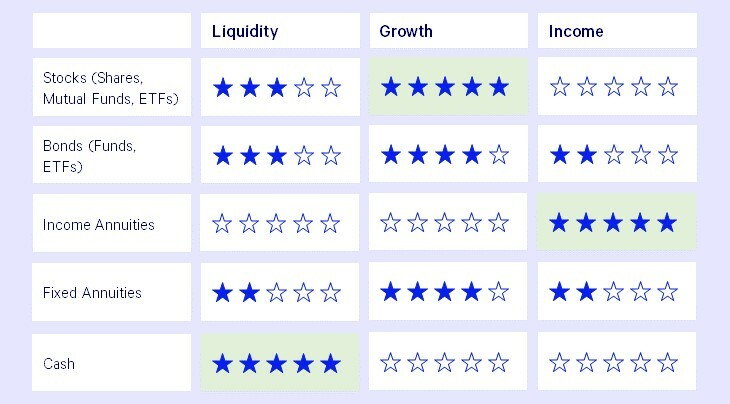 Only longevity annuities from highly-rated insurers (A.M. Best rating of at least A) make the cut for inclusion on the Blueprint Income platform. And, even among the insurers we’ve decided to work with, it’s worth distinguishing among the levels of financial strength. The guaranteed income you’re promised is only as good as the financial strength and longevity of the insurer backing it. Insurers not on our platform offering longevity annuities include Brighthouse, Northwestern Mutual, and Thrivent, among others. It’s now possible to make your longevity annuity purchase online. Instead of in-person meetings and paper applications, we’ve built the technology to provide you real-time quotes online and generate your application for the insurer digitally. Despite our tech-enabled approach, we’re still fiduciaries, licensed to provide these products to you, and available via chat, email, or phone to provide personalized assistance. Run quotes using the free Longevity Annuity Quote Tool. Longevity annuities are offered by leading insurance companies, including Guardian Life, Lincoln Financial, MassMutual, Mutual of Omaha, Pacific Life, and Principal. Before you buy, you’ll want to compare quotes and product features – and remember, not all companies sell all products in all states. Longevity annuities are sold via insurance agents, brokers, and financial advisors. It’s also possible to shop for a longevity annuity online via our website. We limit our product offerings to only those sold by top-rated insurers (A.M. Best rating of at least A), and our Longevity Annuity Quote Tool allows you to easily compare quotes side-by-side. 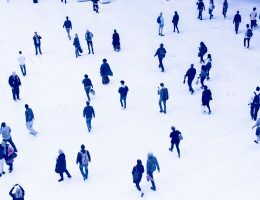 Some financial products are too unique to be compared to one another, but this isn’t the case with longevity annuities. You should be able to see quotes from different carriers that are exactly the same in all major respects except two: price and credit rating. It can be enticing to just go with the company that offers the highest payout, but be careful. The value of a longevity annuity is undeniably linked to the claims-paying ability of the insurance company. The insurer needs to be around at least as long as you are! Buying from only highly-rated insurers is the way to go. If you’re still years away from retirement, are optimistic about pricing improving, and/or would like to diversify across carriers, you can buy longevity annuities in pieces over time. Keep in mind that, all else being equal, waiting to buy will reduce the amount of income the insurance company can offer. In addition, the pricing might not be quite as good at smaller purchase sizes. The decision to buy a qualified vs a non-qualified longevity annuity is most likely driven by where your retirement savings are currently located: in a pre-tax IRA or 401(k), or in the form of after-tax savings. If you use pre-tax savings to purchase a longevity annuity, it will be qualified. Otherwise, the longevity annuity will be non-qualified. Like 401(k)s and IRAs, qualified longevity annuities are governed by Section 408 of the tax code and are subject to the same required minimum distributions beginning at age 70½. On the other hand, non- qualified longevity annuities are not subject to RMDs and thus can have an income start date later than 70½.